Stockholm was cold (minus 3 to a top of 5 degrees!) but sunny for this year's Stockholm Furniture and Light Fair. Held from the 6th to the 12th of February the fair is the key event on the Scandinavian / Nordic design calendar. With so many big name designers originating from Denmark, Sweden, Finland and to a lesser extent, Norway these days it's obvious that the Stockholm fair has being growing in global importance. Brands like Swedese, Muuto and Fogia like to launch their new products in their home market first, making the Stockholm Fair an exciting moment in the design year. 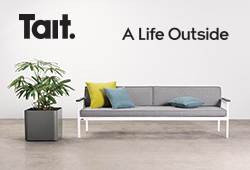 Even the global giant Ikea maintains its Nordic roots by releasing a percentage of its new products at the fair. Line drawings of products featured in the Furnishing Utopia exhibition - new products paying homage to the simplicity of Shaker furniture and objects. 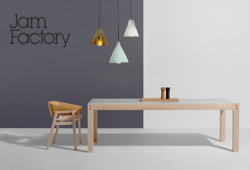 While Danish brand Menu had actually shown tall their newest products at Maison & Objet in September last year, I thought it might be of interest to show a few of them again in the context of the Stockholm Fair. Standouts among this collection are the 'Echasse' floor standing vase by Theresa Arns, the 'Stem' table vase by DUBOKK, the wonderful 'Tailor' sofa by Portuguese designer Ruis Alves and the 'Cast Pendant' by Jordan Murphy and Tom Chung. 'Cast Pendant' by Jordan Murphy and Tom Chung for Menu. The design comes in three shapes but is shown here with two shades on a spreader, with a third pendant hanging independently. I was delighted to see the 'Tailor' bed by Rius Alves finallly make it into production with Menu. It was originally shown as part of Salone Satellite in 2015 and reminds us just how patient many young designers need to be in bringing their designs to market - refining designs to bring them in line with cost constraints or global standards. Ruis Alves' 'Tailor' sofa offers a beautiful timber structure with a fine upholstered seating shell. 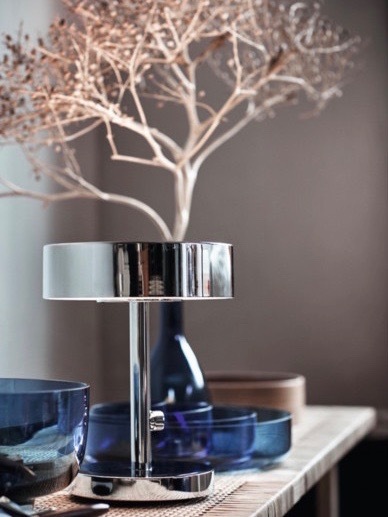 The latest Menu accessories are unusually wide range in scale - from the jumbo glass and brass floor vase 'Echasse' by Theresa Arns to the delicacy of DUBOKK's single flower 'Stem' vase. People are using greenery in their houses more and more and displaying them in different ways which sets the challenge for designers to create vases that suit this new demand. The Stockholm 2017 collection from Ikea brings together 50 new products ranging from rugs to open mesh cabinets and a large number of accessories. What was more interesting was the fact that cane featured so heavily in the new Jassa collection which includes benches, cabinets screens and casual armchairs along with a host of new fabrics. Glass pieces are predominantly in blue tones in the collection while an eclectic range of cultural influences including Indonesian Ikat, and bold Mexican and African printed fabrics are partnered with raw rattan and cane. 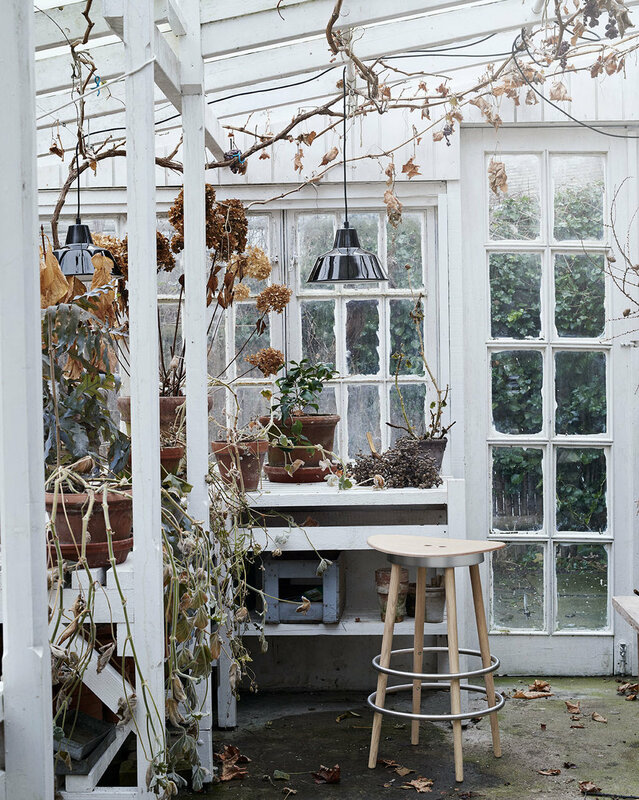 Dutch designer Piet Hein Eek contributed to the collection which is an interesting continuation of Ikea employing big name designers from outside the fold (Ilse Crawford last year for example). You can see the Jassa collection here. New Ikea glassware from the stockholm 2017 collection in a variety of blue tones. Witnessed as a prototype a few years ago at Salone Satellite, the 'Udon' chair by Swedish designer Staffan Holm, looks fairly conventional at first glance but reflects Holms interest's in exploring new ways to work in timber. The chair started out as an experiment in a flexible timber called Compwood. Due to heat treating and compression at the factory this timber can be bent with bare hands yet wont snap like a standard piece of timber and then returns to its normal shape. Essentially it responds like a piece of PVC pipe, yet if held in place by a mould will set into a fixed position once the moisture leaves the wood over time. This is not dissimilar to the traditional bentwood technique but requires no steaming to soften the wood fibres and can be bent on lighter moulds much more easily. The wood stores a high level of moisture and must be kept in plastic until used. One of Hem's new releases, the 'Udon' chair by Staffan Holm. Pictured with the 'Log' table by Julian Renault, 'Dusk' pendant lamps by Sylvain Willenz, and the 'Last table' in brass by Max Lamb - all from Hem. The challenge for Holm was to make a chair made from the material strong enough to support a 120kg + person. Fast forward a coupe of years and the chair has been launched by Hem, a company Holm has designed a number of products for since 2013. The striking feature is that the back rests and front and back legs are made from just two continuous pieces of timber bent in a tight 'U' shape. The name (in case you hadn't guessed) refers to the bendy Japanese noodle. Hem also launched the ingenious 'Zig Zag' shelving by Czech designers Studio deFORM (Jakub Pollág and Václav Mlynář). Hem released several other new products in solid timber - the 'Zig Zag' shelf by Czech designers Studio deFORM (above) and the charming 'All Wood Stool' by German designer Karoline Fesser (below). The 'All Wood Stool' stool comes in two shapes - Rocket (left) and Bobbin (right) and in walnut or ash. The 'All Wood Stools' are adjustable stools featuring archetypal shapes - pyramids, circles and cylinders. Aalto University is onto a winning formula where they select a dozen of their students and give them all a very tight brief to make furniture in one specific material and category. In past years we have seen chairs made from aircraft plywood in Yves Klein blue and chairs solely in black stained ash. This year it was the turn of the steel rod chair. Twelve student designers were given 4, 5 and 8mm steel rod and let loose to experiment with bending and welding being the main methods of construction. Aalto University's Under Bar Himmel project featuring the work of 12 students each tackling a chair made of steel rod with fascinating results. The results as usual were a reflection of the quality of Aalto's design students with extremely diverse designs that all had strong graphic appeal. The exhibition shown at the Greenhouse - the area of the Stockholm fair dedicated to young designers and students was called Under Bar Himmel referring to the Finnish and Swedish words for a traditional Scandinavian decoration composed of Platonic polygons - 'Himmeli' and 'Himmel' respectively. The designers included Orcum Erdem, Josh Krute, Xiaohan Liang, Yujung Lee, Maija Leskelä, Sara Moayed, Nathalia Mussi, Anna-Riikka Nuutinen, Maria Riskilä, Tiia Viikilä, Dayoung Song and Laura Zubillaga. More examples from Aalto University's Under Bar Himmel project. Jaime Hayon was guest of honour at the Stockholm Fair this year and was rewarded with a retrospective exhibition, Hayon DNA Gallery, showcasing a large number of his past works. The idea was to try to explain the DNA that binds these projects together. Of course its really Hayon's particular design language that sets him apart - witty and for want of a better word - quirky but his ideas are always fresh with an exaggerated, highly sculptural quality. Jaime Hayon's Hayon DNA Gallery, in the fairs entrance hall. Photo: Andrea Björsell. At completely the other end of the decorative spectrum was an exhibition called Furnishing Utopia. Originally shown as part of Sight Unseen Offsite during New York's Design Week last year, the exhibition involves work by contemporary designers inspired by traditional Shaker furniture. A delightful scene from the Furnishing Utopia exhibition that started this post. The baskets and rocking chair are by Oregon based Studio Gorm. The participants included the wonderful American design studio Ladies & Gentlemen along with Oregon based Studio Gorm, Norwegian designer Hallgeir Homstvedt, Denmark's Norm Architects and Seattle based Darin Montgomery. You can look at this project in more depth here. A scene from the Furnishing Utopia exhibition with bench and baskets by Studio Gorm, daybed by Darin Montgomery, toolbox by Hallgeir Holmstvedt and wall trays by Norm Architects. 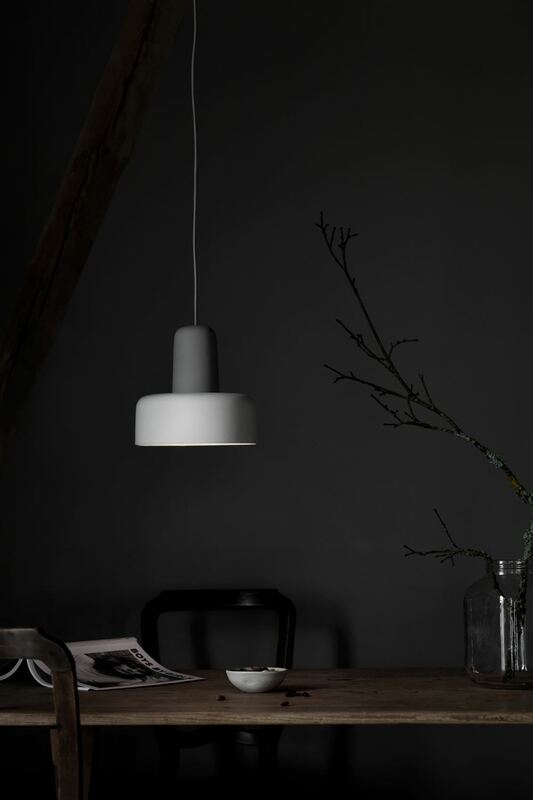 Danish lighting brand Lightyears released the new pendant 'Suspense' designed by GamFratesi. The soft acorn shape is immediately appealing. 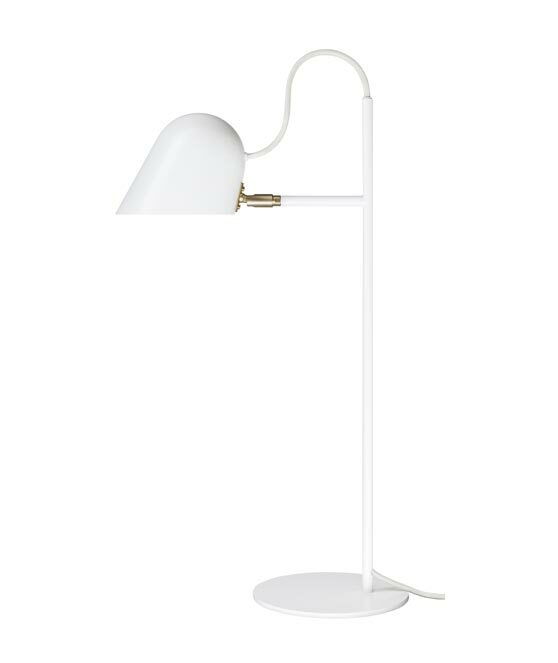 The Stockholm Fair is more correctly named The Stockholm Furniture and Light Fair. Unlike Milan where lighting is exhibited every second year, lighting is part of the mix annually in Stockholm. 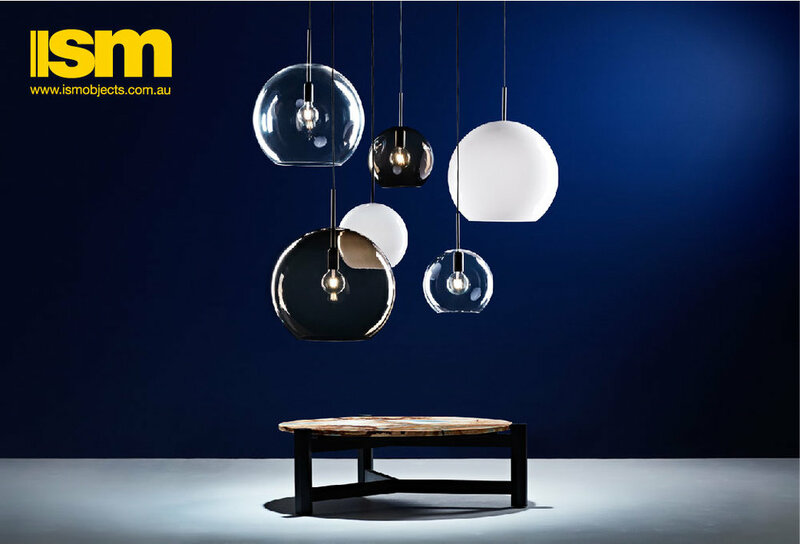 This year Northern Lighting released a number of new designs that range from abstract floor lamps to ceramic pendants. Northern Lighting released their 'Say My Name' table lamp by Morten & Jonas in smokey grey frosted glass. 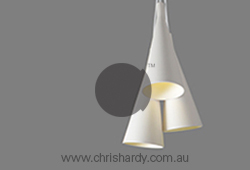 The design itself is not new but in the new finish the light takes on a whole new look. The 'Balance' light by Yuue and the 'Meld' light by Noidoi Studio (shown below) are Design daily's particular favourites from this interesting Norwegian brand. One of the most impressive new arrivals on the Scandinavian design scene in recent years has been the Danish brand Friends & Founders. 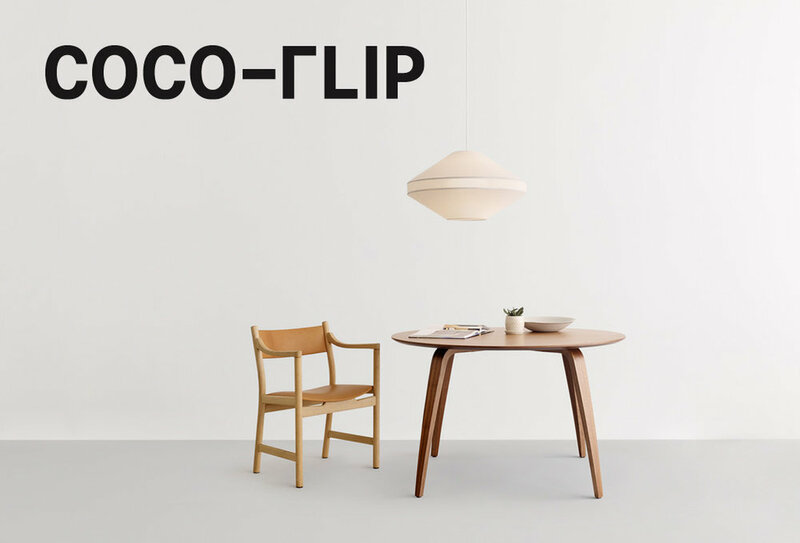 Although just a small husband & wife operation, the brand has revolutionised the perception of Danish furniture design. This year they followed up their successful La Pipe dining chair launched in 2016 with its name sake the 'La' Pipe armchair. While the designs share a name and certain similarity of line the outcome is surprisingly different as the armchair has no legs and becomes altogether more feminine with Henry Moore like curvaceousness. Swedish brand Rubn Lighting take a leaf out of the mid century songbook but make sure their designs are contemporary through a simplification of shape and materials. This year they launched the 'Vouge' floor Lamp and matching pendants, the 'Bouquet' pendant of orb like glass and brass and the spectacular 15 Arm 'Astoria' wall light. Rubn Lighting showed this and their entire collection not within the Stockholm Fair complex but at a pop-up gallery space in the city. In the last six or seven years Luca Nichetto has gone from little known Venetian designer with some lights for Established & Sons to a globe trotting creative who designs for dozens of brands in countries as diverse as China, Portugal, Sweden and of course Italy. At this year's Stockholm Fair he designed his first pieces for the Swedish brand of the moment Fogia, a 30 year old Swedish brand that is undergoing a renaissance courtesy of their clever selection of a stable of designers that includes Andreas Engesvik, Stefan Borselius and Note Design Studio. One of Design daily's personal favourites from the Stockholm fair - the 'Jord' sofa by Luca Nichetto for Swedish brand Fogia. The articulating arms and timber base rail are very cool. The Jord sofa is quintessential Italian design in that it has articulating arm and back cushions but is given a sleek contemporary Nordic look with ultra fine legs and slim arms. Casualness is added through a soft rolled edge that runs around the arm and back cushions. The timber rail around the base gives the design a lovely floating quality. In combination with the modular options the collection offers integrated or stand alone tables that play with a motif of circles on squares. In addition to the 'Jord' sofa and a collection of hand-blown glass vases for Fogia, NIchetto launched a beguiling table lamp for Canadian brand Mjolk. 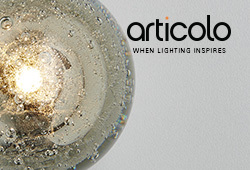 The 'Reunion' lamp is made from Murano glass and spun aluminium and comes in several complimentary colour combinations. Luca Nichetto's aluminium and Murano glass 'Reunion' table lamp for Canadian brand Mjolk shows that in an era of showy brass lighting, simplicity can offer its own quiet power. Nichetto's sofa system was just one of a host of new Fogia designs by Andreas Engesvik, TAF Arkitekter, Nina Job and Note Design Studio. Almost as big as the collection launched in 2016, this years offering brought in several new tables, side tables, ottomans, two new sofas and a range of low and high stools. The wonderfully graphic properties of Matz Borgström's 'Piano' table and bench for Ihreborn. 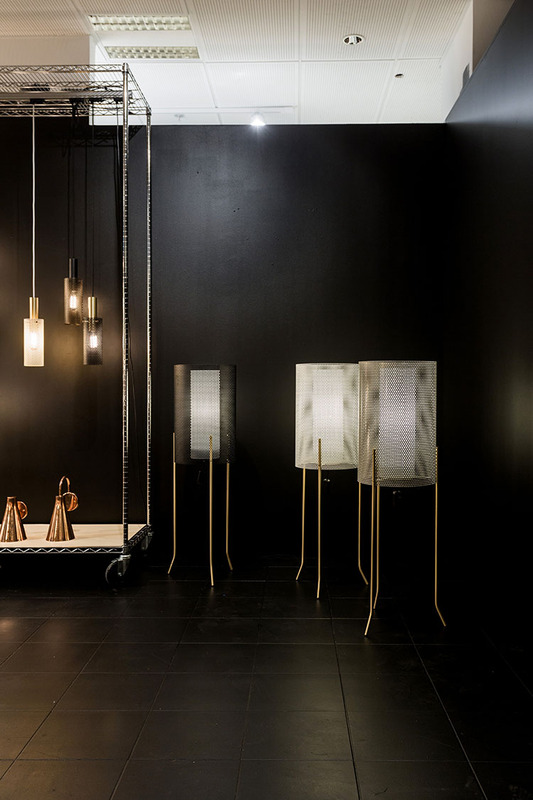 Orsjö is aSwedish lighting company that experiments with a wide variety of materials and which is happy to follow their designers in a wide variety of directions. 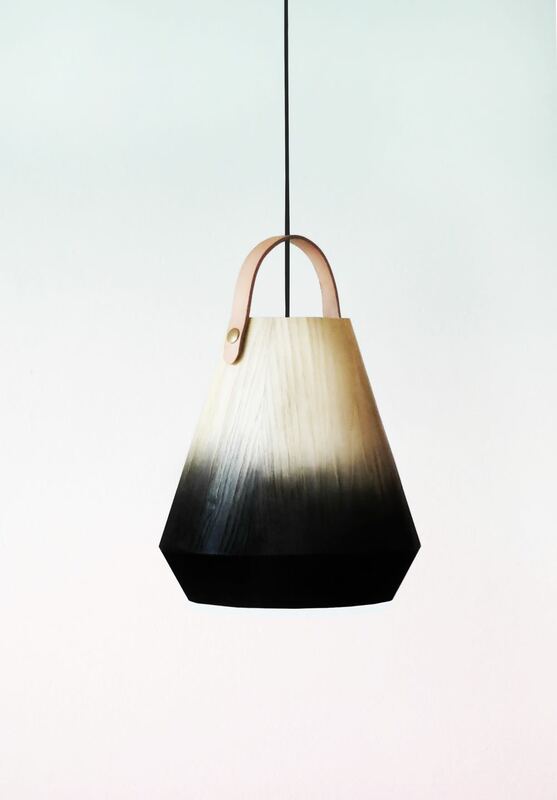 This year they released four new lights including the 'Konkrete' pendant by Jonas Edvard (shown below left) that is made from ash veneer with an irregular dye applied to its surface and naturally tanned leather detail. The Other lights were more precise in nature including the classic Scandinavian look of the Streck table and floor lamps by Joel Karlsson. Swedish brand Gärsnäs presented four new pieces: The 'Dandy' armchair by PIerre Sindre, the 'Bleck' sofa by TAF Arkitektkontor, the Sonat chair by Ake Axelssons and the 'Tak' table by David Regestam. The Gärsnäs stand at Stockholm 2017 showing their new 'Bleck' sofa and armchairs by TAF Arkitektkontor and 'Dandy' cane armchairs (back) by Pierre Sindre. The unique look of the 'Bleck' sofa by may not be everyone's cup of tea but it certainly reveals what your paying for - feather filled cushions and a hardwood frame. Perhaps it is more successful as an armchair but the design certainly pushes seating in a new and interesting direction. The back of the 'Bleck'! The 'Dandy' armchair by Pierre Sindre is one hell of a big armchair. 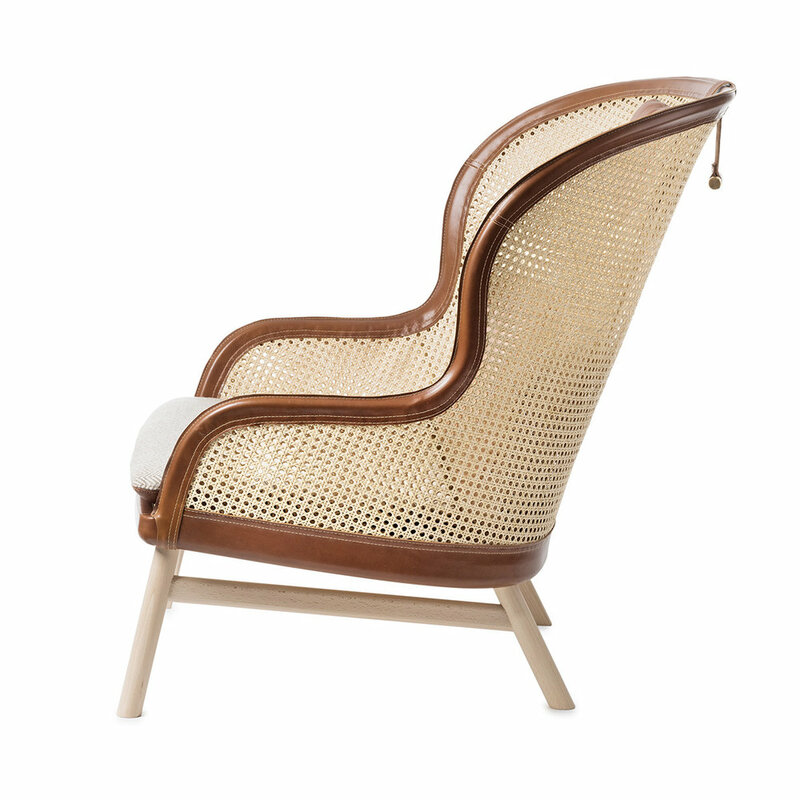 Wrapped in woven cane and with leather trim, the chair is perfect if you have plenty of space or a hotel lobby you want to fill!. The seat cushion can be specified in leather or fabric. A Nordic chair fit for a Raffles style environment. In addition to the previously mentioned 'Jord' sofa by Luca NIchetto, newly revitalised Swedish brand Fogia went to town with a large range of new pieces including the 'Dini' sofa and 'Supper' tables by Andreas Engesvik, 'Poppy' poufs by Nina Job, 'Pastille' side tables by TAF Arkitektkontor and 'Figurine' stool and table by Note Design Studio. The 'Figurine' stools by Note Design Studio are simplicity themselves but with beautiful proportions and available in great colours. Shown here with the 'Figurine' table who's turned legs become more oval as they move toward the table top. Beyond the very current look of coloured flats and dusty pink curtains used to decorate the stand, the brand kept true to tried and tested materials - leather, metal and wood. The design twists are small but manage to move traditional Swedish design into new territory. Its modern and its classic both at the same time. Round 'Supper' tables by Andreas Engesvik for Fogia. Circle, square and cross motifs laid one on top of the other. Not since Verner Panton in the 1960's have chairs that look like the Lucky chair (below) made it through to production. Thank you Blä Station. Design daily saw this as a prototype last April in Milan and loved it then. It would be even better without upholstery and kept as a usable sculptural object but you cant have everything! The 'Lucky' chair by Luka Stepan for Blä Station. Muuto's 'Workshop' chair by Cecilie Manz - an archetypal 'chair' look but ever so cute. Creating original dining or side chairs is a difficult task in 2017 given that thousands have been designed in the last 100 years. Finding that point of difference without it being superfluous and silly is quite tricky. While Cecilie Manz's Workshop chair (above) has concentrated purely on refining a classic chair shape to get proportions absolutely perfect and to remove all extraneous elements, for some designers material research becomes the key to creating something new. All fourteen component parts of Lammhult's 'Penne' chair by Julia Läufer and Marcus Keichel (shown below in white). Berlin designers Julia Läufer and Marcus Keichel have gone down the new material route producing a chair called 'Penne' which uses Lignotube, a hollow wood veneered cotton tube that has an impressive strength-to-weight ratio. While this material has been around for 5 or six years only a couple of designers have persevered with it. Sylvain Willenz is one designer who has used the material recently (the 'Profile' chair for Stattmann Neue Moebel) but the 'Penne' chair has moved the use of the material into realm of total mass production. Originally released in 2016 with a polypropulene seat and back, the chair is now also available with a lightweight pressed plywood seat and back with marries with the Lignotube perfectly. British designer, Ilse Crawford's design studio, StudioIlse released their new 'Sturdy' stool for Danish label Made By Hand at this year's fair. The idea behind the project is that the foot rings on the stools increase in number as the stool gets taller. Available with plain bent plywood seat or upholstered in leather, the stool works in an area that makes it equally applicable in commercial or residential environments. The Stockholm Fair wasn't all contemporary design.......Carl Hansen & Son released yet another corker - the Hans Wegner CH23 dining chair in walnut, oak and papercord. The chair features a beautiful cross detail where the back legs meet the back - particularly visible in the two tone timber version (walnut seat and back with oak frame). Designed in 1949 when Wegner was working on the CH25 Wishbone chair and CH22 and CH25 papercord lounge chairs, the design has enjoyed great success as a vintage piece for decades. Hans Wegner's classic CH23 chair from 1949 has been reissued by Carl Hansen & Son. Previously in teak and oak it is now available in walnut and oak or in an all-walnut version. That's it for the February fairs for 2017. Salone del Mobile is the next one on the list but that is not until early April.